As a child Los Angeles was my favorite place to visit. It only warranted 4 ‘are we there yet.’ It seemed like a million miles away from my Fresno home. It was the City of Angels, the city of Dreams—a place where my childhood fantasies were created and housed. Where Mickey and Minnie and all the beautiful people of the world lived. As an adult here now, I still love this city but for a different set of reasons. From the weather to the weed to the progressive mindset of most Angelenos. The good food and the melting pot that defines the “edge of the world and all of Western civilization.” How my city turns a 10 mile commute to an hour trek still blows my mind but I accept her for the diverse beauty she is. As many know, the Los Angeles market represents 25% of the legal cannabis marketplace nationwide. At a cannabis mixer recently, a community member stood up and reminded us all that despite our national significance, we have a perception problem in Los Angeles. That resonated with me, especially as the County of Los Angeles had opted to ban cannabis just the week before. While it might be “The Game” to us—and what a safe and friendly game it is here in the City of Angels—just outside the boundaries of our city, legitimate patients are denied safe access. It reminded me of an experience from several months before, participating in an OSHA training at a Fortune 500 company. We were invited because an influential employee wanted to answer staff questions about cannabis with something other than the company’s Human Resources line, “Marijuana is federally illegal. Marijuana can cause learning disabilities and brain damage. You can be fired for using marijuana. Period. End of story.” This was in downtown San Diego, but it was still difficult to go up to the podium after that and give the facts about cannabis. Some of the audience did think it was a humorous topic for discussion or unfortunate that it was even brought up—but many of the parents in the audience were able to relate when Andrew reminded them of the pharmaceutical epidemic in America and told of his use of cannabis as an exit drug. As a member of many communities, all marginalized, I started thinking about my first introduction to perception. I was about 7 and my family was participating in our church’s homeless initiative. It was an incredibly moving experience for me—seeing people who I thought of as lazy and dirty; but my father reminded me that we all had our own story. We began discussing what I saw in this homeless gentlemen, which had been nothing special, just someone to help at this moment. He then shared with me what he saw. My Dad saw a guy around his age down on his luck. A guy who looked hungry and a little disheveled. He wondered if he had a family and a little girl who missed him wherever his home was. He then pointed out the gentlemen’s military clothing and said that he saw a hero. My dad gave the vet his new warmer jacket and some money, thanked him for his service, fed him a meal and asked him if there was anything else he could do to help him get off the streets—to which he declined. He said he liked the freedom of his lifestyle. It was in that moment that the world changed for me. Who was I to judge someone else’s life? I knew that the world was a big place filled with lots of different ways to look at things and it wasn’t right to put down other people just because they were different. But there was another side to that coin. In 2008, almost 30 years later, just weeks after the California Supreme Court ruled that denying the right to marry to two men or two women was unconstitutional discrimination, I saw the same church, my old church, on the news. They were the self-appointed leaders of the movement to “protect” marriage in California—by enshrining hatred in the state constitution. And they won that fight—over 7,000,000 Californians signed onto their discriminatory proposition. Today, cannabis patients in California continue to face the same stigma—loss of jobs, housing, health care, and even their own families—to access the medicine that works for them. This continues to exist because the industry has not done anything about it. It’s not convenient to confront the problem so it hasn’t been done. Nobody likes to take responsibility but in a small way it falls to each of us, from High Times to the pop-up shop on the corner, for not truly representing diverse patient and community interests. Greed became the driving force for many cannabis businesses—and the civic community noticed. That’s why there’s blood in the water with municipal bans, million dollar licensing fees, and renewed police raids. 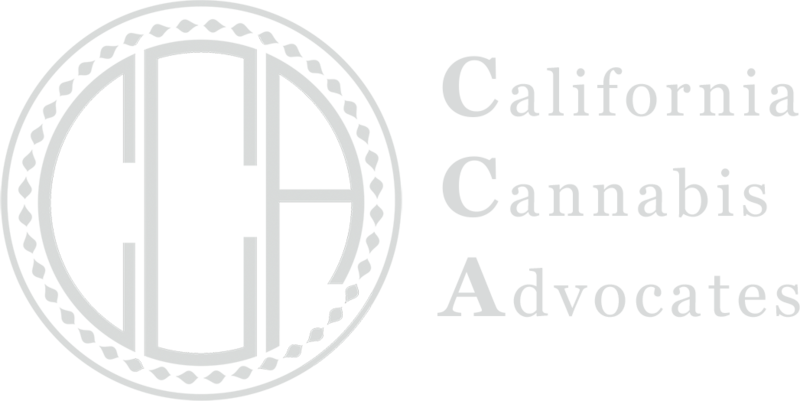 The well-known producers gave the idea this was just for fun, while the community of patients who had fought to pass Proposition 215 was cowed into silence or simply ignored. The only way to pull back the curtains on the tens of thousands of cannabis patients suffering from wrong-headed stigma and perception is for all of us to stand up and come out of the shadows. From the grandparents to the children, it’s time for us to stand up and ask for support in our independent health choices. The whole community is an ally for the brave soul who stands up and asks for support.